If you are still not sure of a name to brand your horse then this article has got you covered. We have put forward a long list of really cool horse names starting with every letter of the alphabet. Whether you’re looking for a boy or girl horse name, palomino, pinto or black horse, there are enough nicknames here to help you find the best one for your mare, gelding, colt or stud. The best part is that the names aren’t long, complex or complicated and have their meaning. Read on to find a favorite name for your equine friend, and don’t forget to share with us the name you’ve chosen in the comments section. We bet you’ll be spoilt for choice! 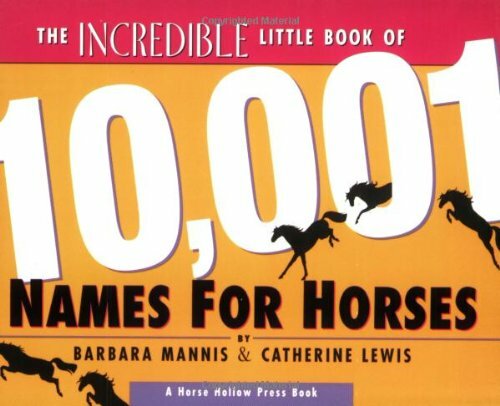 For even more male and female horse names, check this book – The Incredible Little Book of 10,001 Names for Horses. 1. Admiral – This is the perfect royal horse name for your Arabian stallion. 2. Agape – Sweet name for your humble mare. 3. Aida – Great name for your female Andalusian horse. 4. Allegria – A really cool name for your mare that loves to jump. 5. Allouette – Name usually given to dark horses due to their impeccable elegance and beauty. 6. Ally – This name blends well with your Mustang horse. 7. Abu – Suitable for the American Saddle bred breed. 8. Amigo – This name is suitable for your best friend, especially if your horse has always protected you or saved your life. 9. Angelo – Can be given to an agile and neat royal horse. 10. Aquarius – If your horse can sustain rainy climates efficiently, then this is the name to go for. 11. Barron – This name is for the master of the stable. The all time leader. 12. Batman – This is a great name for a tall and dark master of the races. 13. Bellino – Your graceful Friesian horse can fit well with this name. 14. Benny – A friendly name that is easy to remember. Suitable for any horse – warm, cold or hot blood. 15. Bingo – You may have acquired a horse when you were young. As you grow up you may call him bingo – a true friendship name. 16. Bruno – This is a compassionate name for your pretty Clydesdale or Shire horse. 17. Bunny – A name suitable for cunning and perceptive horses. They are best used in battle. 18. Billy – This is a common name for male horses. Depicts antique splendour of elegance and strength. 19. Belle – If you own the rare breed of Sorraia horse (that nobody can guess right in a horse quiz), then this is the name to choose. 20. Ben – Convenient for royal male horses that perform highly esteemed jobs. 21. Caesar – This is a name for the legend of battles. Suitable for horses that like fighting and are always dominating. 22. Chance – A name for a competitor. Suitable for racing horses that seize opportunities to win. 23. Charlene – A beautiful name to give a rescued horse. It could be a clever and unique name for a blue eyed cremelo mare. 24. Charmer – If your horse is caring and can nurture other horses well, then this is the name for you. 25. Chex – This name is appropriate for playful horses. It’s also one of the widely used paint horse names. 26. Cloe – A motherly name for mares with motherly instincts. 27. Coyote – A name suitable for a horse than performs extraordinary stunts. 28. Cyclone – This one can prompt your Thoroughbred horse to top the race at all times. 29. Chester – Horses that are named this way are prone to wondering up and about. 30. Charlie – These horses are known for their unfailing endurance and energy of doing things. 31. Daisy – Fit for your American miniature horse, possibly given as a gift. 32. Dan – This is a name easier to remember that you can name your favourite horse. 33. Deano – Suitable for those horses with miraculous survival stories. 34. Deacon – If your horse or mare is always peaceful and humble, then you have the right name. It’s one the most unique horse names for mares. 35. Dawson – This is a name for a star. A horse that outshines other horses of his calibre. 36. Davis – This is a good choice for a horse that is always your companion. 37. 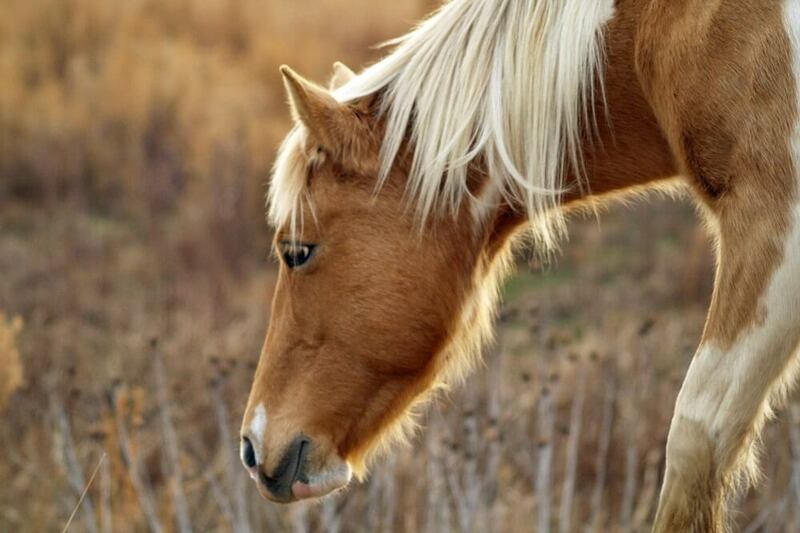 Destiny – This is the name for the horse breed you’ve always dreamt of having. 38. Dimple – This is the name to give the horse that is always happy to see you. 39. Donald – Appropriate for arrogant horses that are not easily pleased. 40. Dorito – Best for your black horse with white markings. 41. Elliot – Your chestnut Belgian horse is best suited with this name. 42. Ely – This name is suitable for daredevil horses that are not afraid of heights. 43. Edna – Perfect name for both male and female miniature horses. 44. Eddie – A name for a good companion and a friendly horse. 45. Elessar – Excellent option for your mare that has some touch of wild instincts. 46. Equinox – Suitable for your horse that is hardworking and honest. 47. Ellen – Good name for a handsome or pretty Hanoverian horse. 48. Eye of the storm – If your horse is always swift, steady and fast, then this is the name to give him. 49. Emanon – Sounds like the name of an emperor. This is a name for horses and mares leading members of their team. 50. Echo – This name is suitable for a super fast horse that is always winning all races. 51. Fabio – An easy to say and easy to remember name, suitable for a Spanish mustang. 52. Francis – Wonderful name to give to any animal. St Francis was a renowned patron saint for animals. 53. Fire – Perfect name for a horse that can run fast. It’s also one of the most popular black horse names. 54. Felena – Best for your horse that is fun to play with. 55. Fizz – Charming name for any type of horse. 56. Falla – An athletic horse can be named this way, especially the Friesian horse. 57. Flint – A good name to give your horse that is always lucky. 58. Furry – Good name for a well-built and gigantic Westphalian horse. 59. Frankie – An honest name suitable for a humble and honest mare. 60. Fedora – Just as it sounds, this name is for horses with playful and cheerful personalities. 61. Galaxy – If your horse is acting like a star, then this is a good name for him. 62. Goldie – If your horse has been experiencing a lot of good fortune in the past, then this is the right name for him. 63. Glow – Suitable for horses with radiant coats such as the American paint horse. 64. Gilly – I would give this name to a horse that can jump high. 65. Ginelle – This is a beautiful name for your female horse. It depicts love and kindness. 66. Gemini – Do you think your horse is always bringing you luck? Then this is the name for him. 67. Gemma – Sweet name for a grey Lipizzan horse. 68. George – Your well-built Breton horse is the best candidate for this name. 69. Harry – This is the best name for an Appaloosa horse. Tall, healthy and majestic. 70. Hazel – Hazel is a sweet name for your Arabian stallion. 71. Hunter – More suitable for a horse used for hunting or for taking hunting trips. 72. Hope – This name is suitable for those horses that are usually last at doing things but still show signs of determination. 73. Henry – A friendly name that you can give to Andalusian horses who are very friendly. 74. Hum – Suitable for a horse who always likes making unnecessary sounds. 75. Hogan – This is a name for the big beasts. If your horse is towering high and muscular, then this is the name for him. 76. Hercules – A horse that has survived all battles can be named Hercules. 77. Houdini – This is a suitable name for your desert horse that is known for persistence. 78. Hawk – If your horse is always aggressive and easily offended then this is the name to give. 79. IceDrop – This name is conducive for a horse that is always gloomy and hard to cheer. 80. Inferno – This is the definition of a horse whose stable mates are afraid of. If that’s your horse then this is the ideal name for him. 81. Ivy – This is a beautiful name to give to your Percheron horse. 82. Izzie – This name best suits a calm horse that doesn’t cause you much trouble. 83. Illusion – This is a perfect name for your multicoloured paint horse whose skin colour is not definite. 84. Impossible – A good name suitable for a horse that has endeavoured hard moments during his or her life. 85. Indian – You can name your horse Indian if you obtained him from India or were given to you by an Indian friend. 86. Jackpot – This name is appropriate for a horse that was rescued and turns out to be better than you could have imagined. 88. Jesse – A name that signifies bravery. It is suitable for Arabian stallions. 90. Jimmy – A good name for an Egyptian stallion. 91. Jules – Suitable for brave female horses. 92. Justine – Powerful and determined horse that can handle what most of its species cannot handle. 93. Kipper – Can be used for horses that are compassionate. 94. Katie – Ideal name for unpretentious and easy to please horses. 95. King – This is the name to give the leader of your stable if you have many horses or mares. 96. Lesley – This name is suitable for horses that are mostly for companionship. 97. Lex – Short name and easy to remember, suitable for all breeds. 98. Lilly – Beautiful name for a horse that loves adventure. 99. Leonardo – Suitable for the boss in your stable. 100. Lancelot – A really cool name suitable for battle horses that are known for bravery. 101. Mark – This name is associated with companionship and support. 102. Marley – Perfect name for a horse that loves fun and is outgoing. 103. Marvin – Suitable for your horse which has a kind and an outstanding nature. 104. Marcus – A perfect name for a protective horse. 105. Napoleon – This is the name to give your horse if he is intelligent, inventive and resourceful. 106. Nelson – This name is appropriate for high profession horses. It sounds more formal and appreciable. 107. Nichole – Sounds beautiful. May be appropriate for a female Freiberger. 108. Nutmeg – Is your horse brown and pretty? This is the best name for her. 109. Nero – This is the name for a battle horse. Depicts braveness. 110. Oscar – A perfect name for a horse who has won many awards. 111. Oasis – Suitable for a horse whose presence in your life fills you with joy and pleasure. 112. Olympus – A name worth giving a noble maiden such as a Canadian horse. 113. Piper – This name is suitable for the breed of American quarter horses because they can run fast over short distances. 114. Polo – This name is associated with victory. You can give it to your always victorious champ. 115. Robin – An ideal name for Nokota horse with impressive survival tactics. 116. Robbie – A perfect name for an Exmoor pony. 117. Rico – This is a good choice for your hairy Icelandic horse. 118. Shamara – Suitable for your American quarter horse that sprints fast. 119. Texas – Good name for a desert commando like the feral horse breed. 120. Tesa – This is a lovely name for the ever beautiful Shire horse. 121. Toby – A good name for your daughter’s noblest Falabella companion. 122. Tilly – A good name for your tall and majestic grey horse. 123. Tongo – Great name for a great runner. 124. Tommy – Well, if your horse appears weak and humble, this is the name for him. 125. Theo – This is for your lovable Breton horse. 126. Underdog – For a powerful horse with almost robotic abilities. 127. Verona – Easy pronunciation. Appropriate for your Lusitano mare. 128. Walter – A wonderful name for any horse with a big heart. 129. Winnie – Perfect name for your cute miniature horse. 130. Wings – Is your horse the fastest in the tracks? How about giving him this name. 131. Xiao – A name of Chinese origin. Can be given to a horse capable of perfuming extraordinary stunts. 132. Yellow – Not necessarily for the colour. But this name is for horses that are smart and able to perceive dangerous situations. 133. Yosemite – A name suitable for attractive horse. Mostly multicoloured American paint horse or Rocky Mountain horse. 134. Zeus – This is the name for a powerful Trakehna horse. 135. Zena – Beautiful name for a beautiful coat. Brown and white patches. 136. Zoe – Sweet name for horses that are received as gifts from a lady. 137. Zeke – Funny name but suitable for the all time watch dog horse in the ban. 138. Zanda – Beautiful name to give a female miniature horse. We chose the above names for how pretty and cute they are, and also for the meanings and descriptions that accompany them. They are not the only equine names available out there, but we’re sure you’ll be thrilled to find the perfect name for your friend! All the best on finding some good horse names for your equines. I really like Lily or Piper. I really like horses, plus i’m on the rodeo so horses are my life. my parents are thinking about getting me a horse. So now I have perfect names for the horses(3) that i’m ”definitley” going to get!! !